Wilsons were one of about 30 shops Major built for or who acted as agents. Ian had this to say when I first contacted him about it in late 2013. 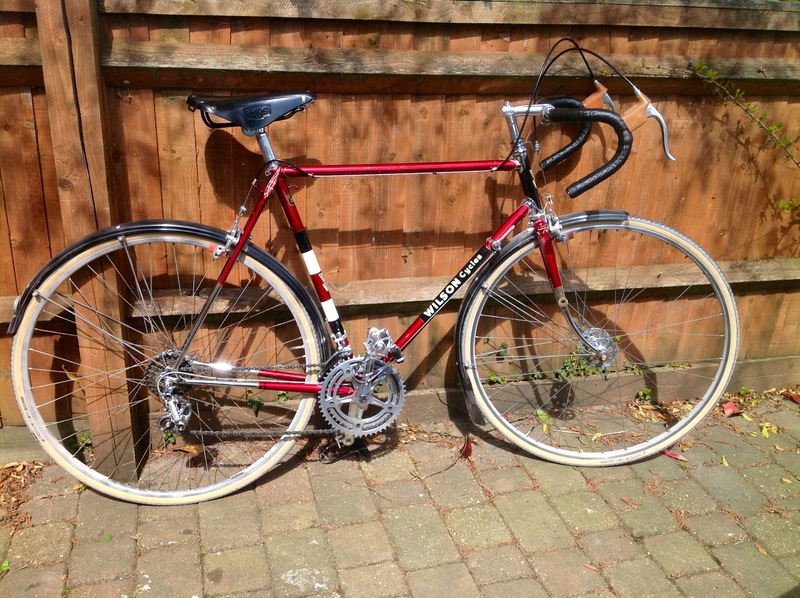 ‘”It is in its original finish, but the paint is fairly knocked about in places. The chrome is also indifferent in patches, due to being stored in damp sheds and garages over 35 years without any use or attention. I renovated most of the running gear to a useable standard last winter. Campag Strada BB and axle with 165mm cranks and Williams chain rings were fine, but the saddle (Brooks B17) and pedals (Campag quills, Brooks toeclips) were rotten. I also got some replacement gum hoods from Italy for the Universal brake levers courtesy of Ebay. The GB Airlite hubs and QRs work well with new ball bearings, but the chrome is battered or non-existent. 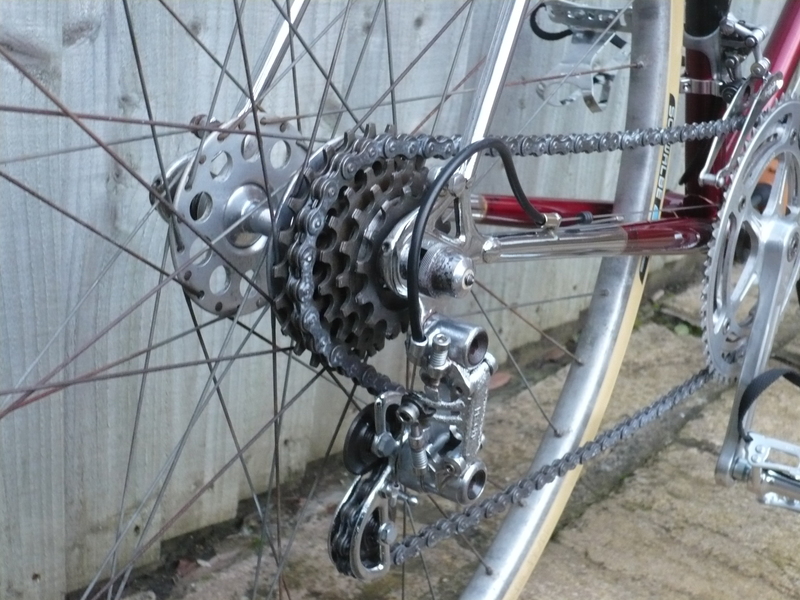 The rear derailleur is the early Record model with riveted pivots. This had rusted to a solid lump, so I had to dismantle it, and got the cage and other bits re-plated by a local firm. The front derailleur is also early Record (band-on, cable stop incorporated), but I had to drill out the adjustor screws which had gone solid with corrosion. A replacement cage from a later DR has also been used – the condition of the original is poor and I need to decide how best to preserve it. The number is not in the record. It is not a normal one but the punches used look genuine. 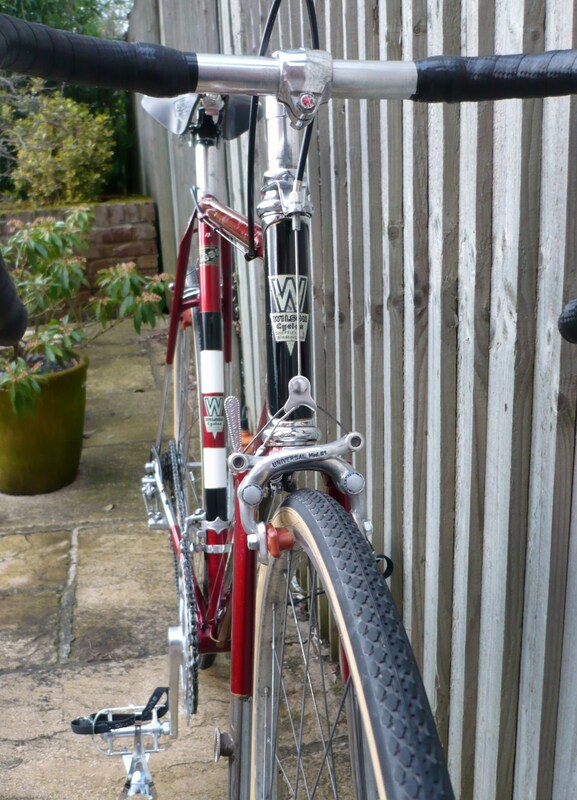 Because another Wilson has subsequently come to light, proven to be a MN build of almost identical build and proven to be an ‘Italia’ model and because Emily’s is an MN ‘Italia’ model in the record which is almost identical with the new found Wilson except for the fork crown and because they are almost together in the record and because the two Wilsons share the same fork crown and ‘Italia’ design Major used, paint colour, finish and seatstay decoration, it is to all intents and purposes a MN but we cannot be 100% certain. It is a beauty. 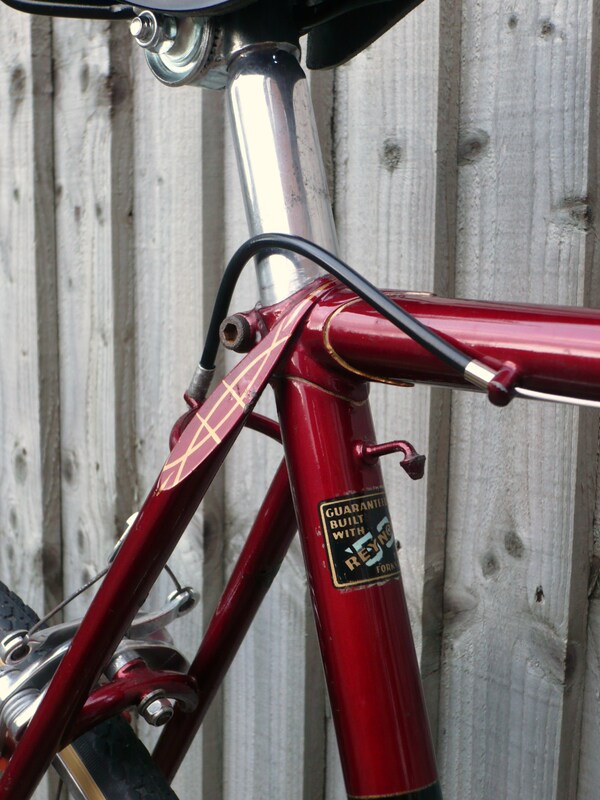 Full large panel wrapover seatstays and signature motif, campagnolo dropouts and special order half chrome forks, stays and long Prunat spearpoint head lugs. The pictures speak for themselves. 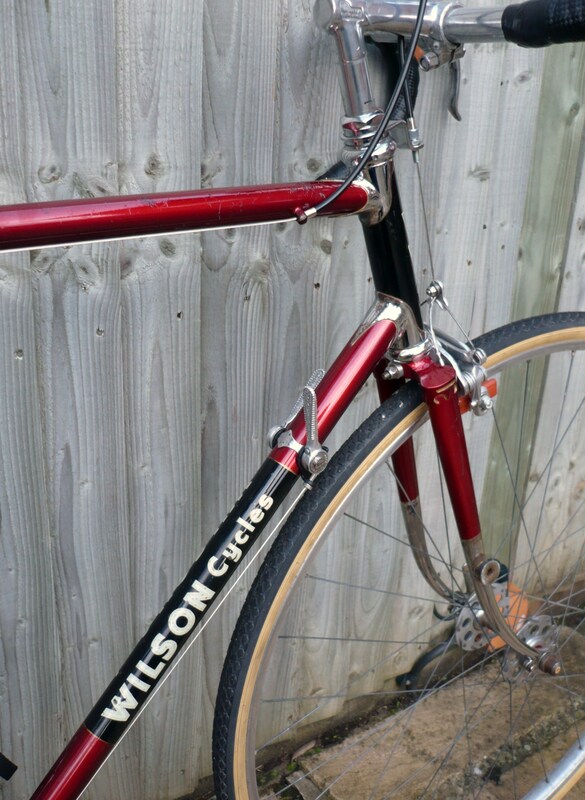 Dave Clement, Major’s finisher in the 60’s has confirmed that the Wilsons Major built frames were finished in Ruby Red Flame enamel with a black panel of their racing team and Wilsons own transfers were applied. Gold lug lining and S/T panel double fishtail signature motif.